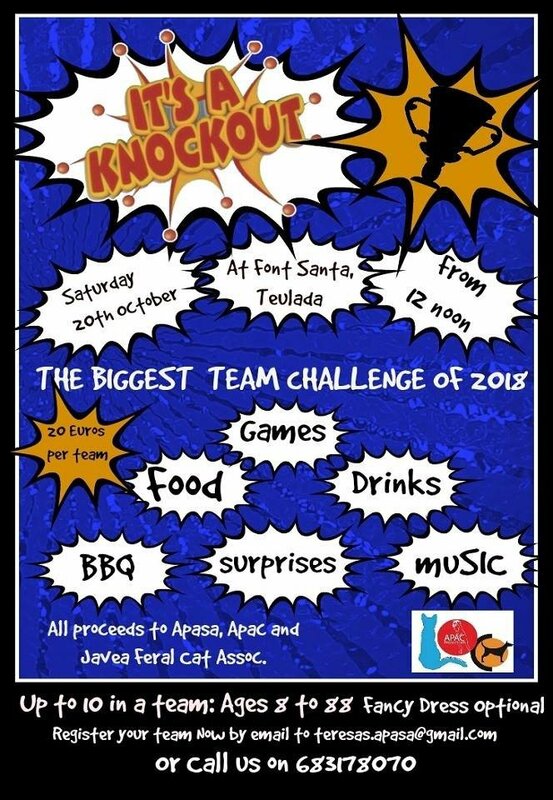 The family fun day is in aid of Apasa, Apac, and the Javea Feral Cat Association at Font Santa in Teulada. Enter your team for a chance to win the priceless Knockout Trophy and Diploma. Or come along to cheer those taking part in It's A Knockout in Teulada. There will be food stalls, a BBQ and drinks with all proceeds all going to the 3 charities involved.